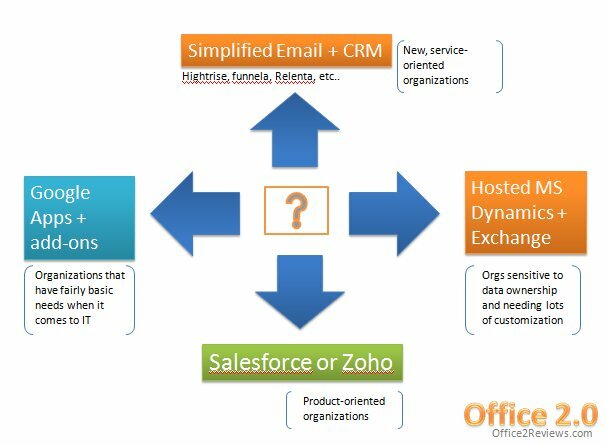 Deciding which communication/collaboration/CRM platform to use these days is a painful process. The choices abound! From Microsoft's feature-rich but bloated offerings to hosted SaaS options from both incumbent and new providers. The amount of choices may seem overwhelming and induces a lot of organizations into an analysis paralysis. One of the primary goals of this blog is to help with the decision-making process when it comes to today's choices in office software. I'd like to use this chart as a starting point. As always, comments and suggestions are welcome! Is Central Desktop a SharePoint killer?